The death of singer/songwriter Grant McLennan in May 2006 brought an end to one of Australia’s greatest musical partnerships. McLennan and Robert Forster, the founding members of influential Brisbane band The Go-Betweens, had been close friends and collaborators since their late teens some thirty years before. It is a heartfelt story of discovery, uncovering the intensely passionate, creative and fraught relationships at the heart of this much-loved and influential group. It is also the universal story of a great creative adventure that spanned three decades, through countless successes, failures, romances, break-ups, betrayals, triumphs and tragedies. It is a compelling investigation into the exhilarating, unpredictable, and precarious lives of musicians, that reveals the true price paid by them to pursue their art. ‘The Go-Betweens: Right Here’ doesn’t assume knowledge of the group or its music. It offers an evolving revelation of them that truthfully exposes all the highs, lows, joy, pain, sorrow and beauty of being in a cult band and of trying to survive the harsh, brutal realities of an at times exploitative music industry. 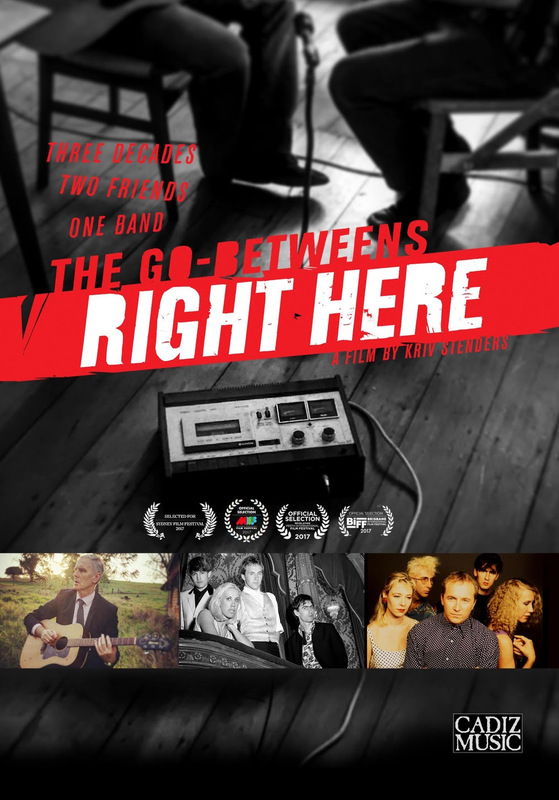 Unflinching, insightful and at times painfully honest, the film tells the story of The Go-Betweens from the inside out, from the people who lived it and from those whose lives were transformed by it.